Is this the new BMW motorcycle will debut in Intermot? Recently BMW Motorrad released a teaser photo of its new model based of R NineT. The model is rumored to be launched at the Intermot 2016 called the BMW R NineT Racer. 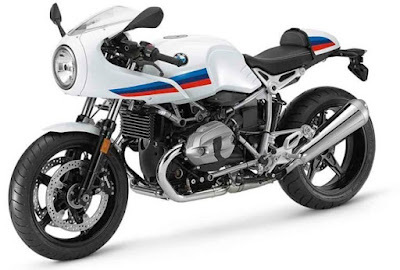 It seems BMW R NineT Racer equipped with the conventional front suspension, components and chassis belonging to the present R NineT. Only, equipped with a fairing on the cockpit and race club tail. 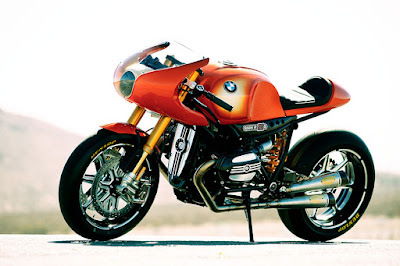 If we traced back in May 2013, this figure is very close to the concept that was first launched at the Concorso d'Eleganza Villa d'Este 2013 ie the BMW Concept Ninety. 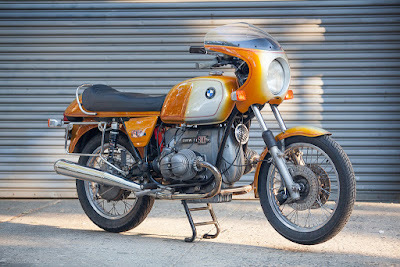 The model took the base of the greatest R90S, one of the fastest BMW product of his time, and also designed by a world's top builder Roland Sands Design. BMW Concept Ninety launched to commemorate 90th anniversary of BMW Motorrad and an icon of 40 year BMW Motorrad design. This bike is the result of BMW Motorrad design team has created an exclusive tribute to the BMW R90S as the first motorcycle equipped with optimal aerodynamic system with a slim body to become role models for other brands. "BMW R90S back to a time when bikers are considered as social criminals, a symbol of rebellion of those who fast, noisy and wild, where it is very interesting to be discussed today," said Edgar Heinrich, head of BMW Motorrad design.